NASW-CA staff and volunteer leaders visit the new social work cohorts every fall. Here are some snapshots from around the state to start off the 2018-2019 school year. 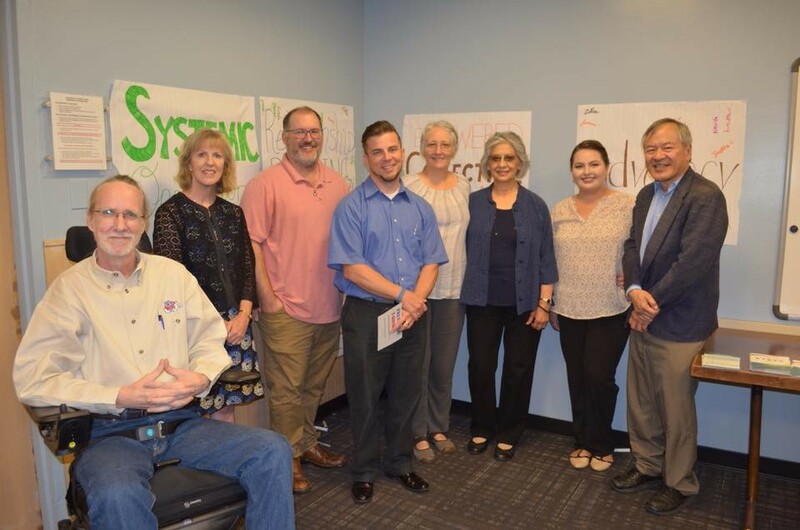 NASW-CA Executive Director Janlee Wong (far right) celebrates Fresno State’s new MSW student orientation on August 21 with faculty. Left to right: Christopher Cole, Andrea Carlin, Marcus Crawford, Travis Cronin, Kerry Dunn, Betty Garcia, Kim Camarena. 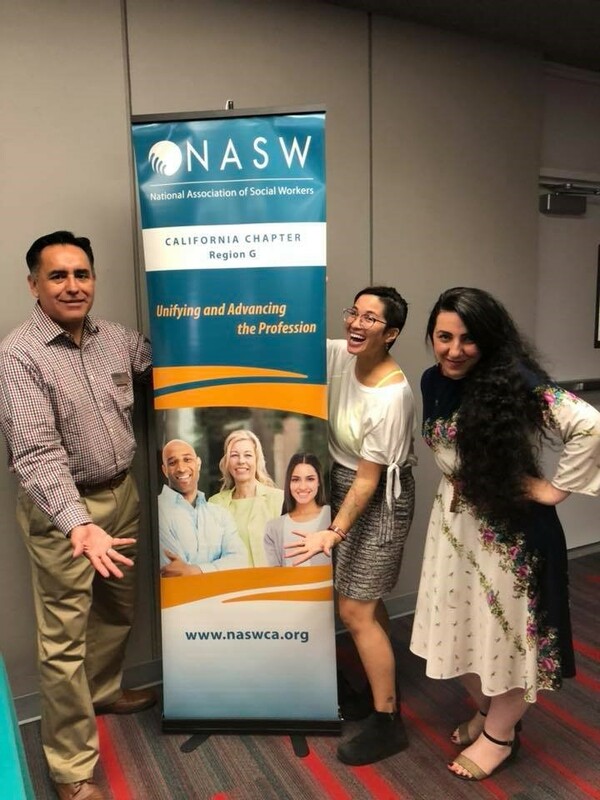 Left to right: NASW-CA Membership Intern Roxanne Cordova, Membership Director S. Jolene Hui, and Region I Assistant Director Mario Espitia attend the new MSW student orientation at California State University, Dominguez Hills on August 8. 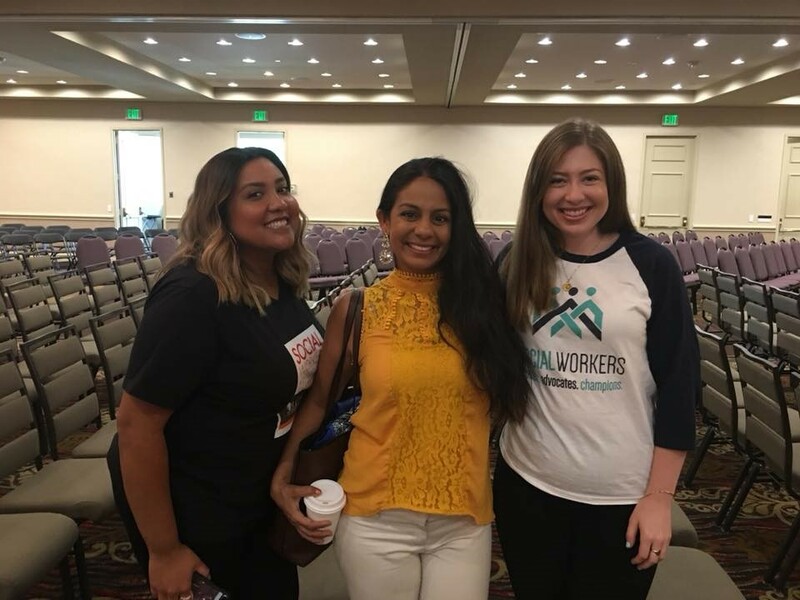 Left to right: NASW-CA USC Unit Leaders Samantha Arensdorff, Professor Shantel Vachani, and Neva Wallach presented at the new MSW student General Assembly at the USC Suzanne Dworak-Peck School of Social Work on August 14. 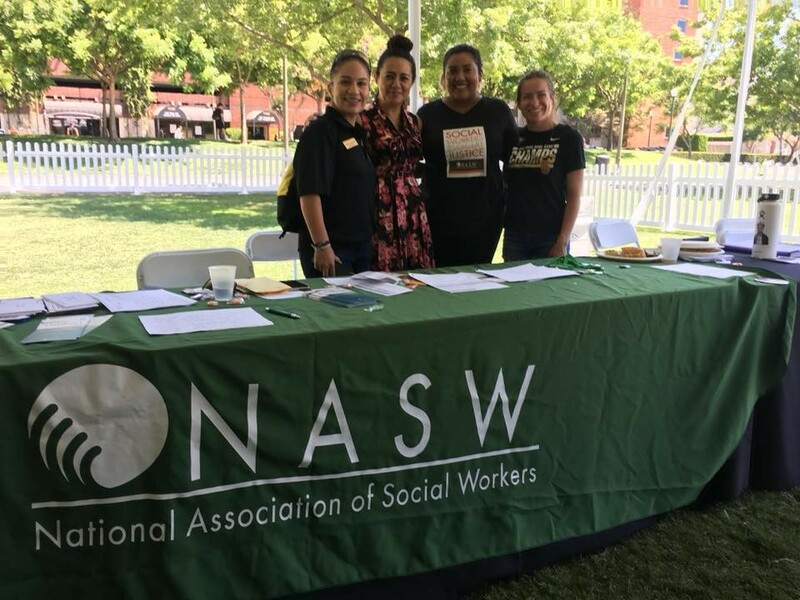 NASW-CA USC Unit Leaders and Region I Director/Professor Rosemary Alamo (second from left) staffed the NASW table at the new MSW student Resource Fair at the USC Suzanne Dworak-Peck School of Social Work on August 14. 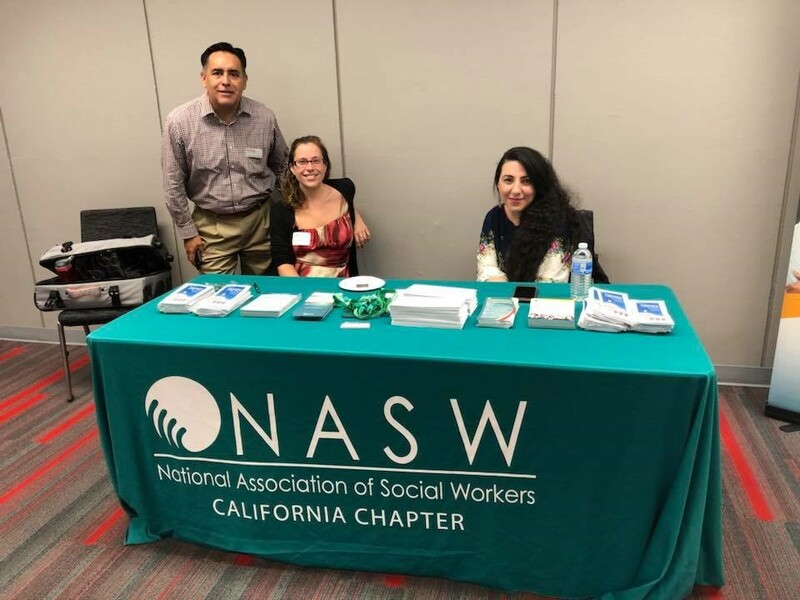 Left to right: NASW-CA Region G Director and Professor Jose Ramos, students and leaders Natalie Loera and Cklara Moradian attend the new MSW student orientation, Fall Kickoff, at California State University, Northridge on August 25. 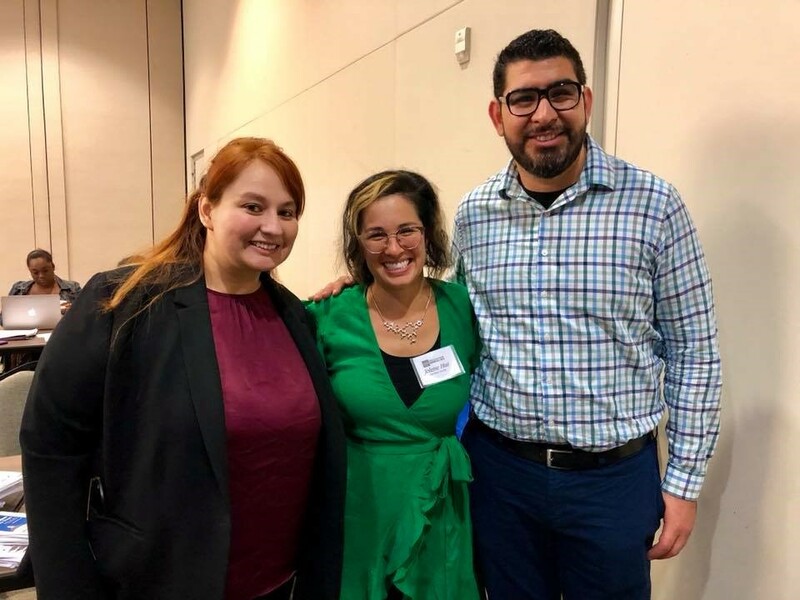 Left to right: Jose Ramos, S. Jolene Hui and Cklara Moradian goof around at the new MSW student orientation, Fall Kickoff, at California State University, Northridge on August 25. 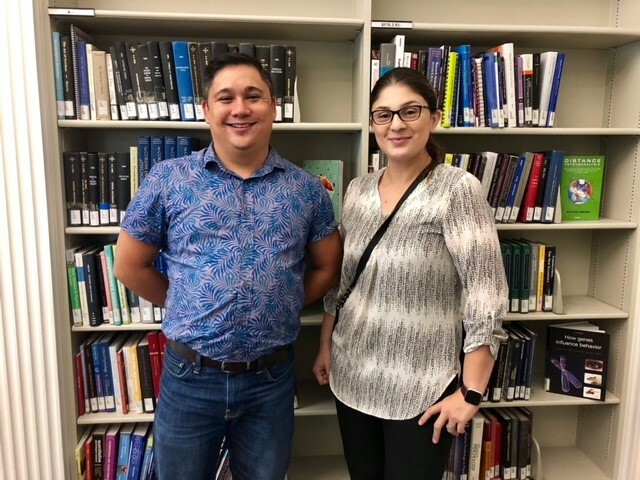 Joshua Dullaghan, University of California, Berkeley, School of Social Work Assistant Director of Student Services and Admissions, and Maricella Kline, NASW-CA Membership Coordinator at the UCB new MSW student orientation on August 16.